You can’t help but feel at home as soon as you step into the Swan Hotel & Spa. 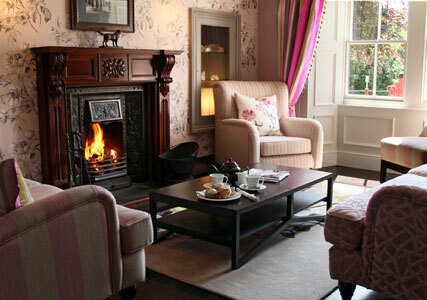 Whether you cosy up to a Union Jack cushion on the foyer’s elegant Chesterfield sofas, unwind in front of an open fire in the intimate snug or retire immediately to your beautifully-decorated room, this really is a retreat that is built for relaxation. Or re-built, may be the better phrase. The mood is set the moment you step into this boutique bolthole, from the aforementioned sumptuous reception area to the sleek and stylish bedrooms, decked out in elegant Designer’s Guild wallpaper – the attention to detail is faultless, creating a look that is modern, but with plenty of charm. The perfect spot for a touch of R&R, if pampering is high on your agenda you won’t be disappointed. While away an afternoon with a decadent Espa treatment at the Vu Spa or take a dip in the inviting centrepiece pool and hot tub, followed by a cleansing steam and sauna. Alternatively, those that love the great outdoors won’t need to move far for beautiful views and stunning hikes. The famous Gummers How lookout point is on the doorstep, while an old-fashioned steam boat sets off adjacent to the hotel, taking guests on a ride through the region’s breathtaking scenery. Whether relaxation or exertion has been on the agenda, the perfect end to your day has to be a meal at The River Room restaurant. A menu of local, seasonal ingredients focuses on British cuisine with Mediterranean influences. If you’re lucky enough to be staying for more than a fleeting visit, be sure to sample the cuisine at The Swan Inn, too, which prides itself on comforting pub foods and an extensive list of local ales. 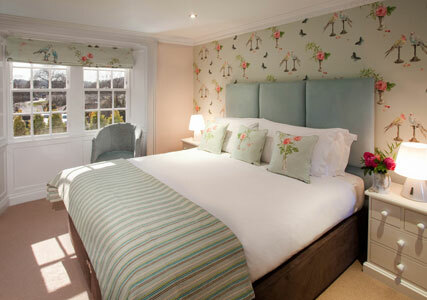 Details: The Swan Hotel & Spa, Newby Bridge, Cumbria, LA12 8NB (015395 31681, www.swanhotel.com). Price from £119 on a B&B basis.